Your browser doesn't support HTML5 video in MP4 or WebM. 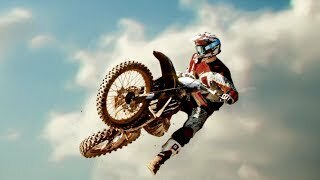 MX vs ATV All Out is the complete off-road racing and lifestyle experience! Find your Rider Style at your own private compound, Free Ride across massive environments, and compete in the best series events! All the bikes, ATVs, tracks, gear, music, riders, personalities and even UTVs are packed in! 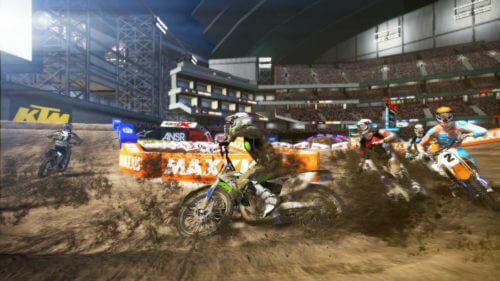 Compete in various modes like Supercross, Nationals, Opencross, Waypoint, Tag and more! 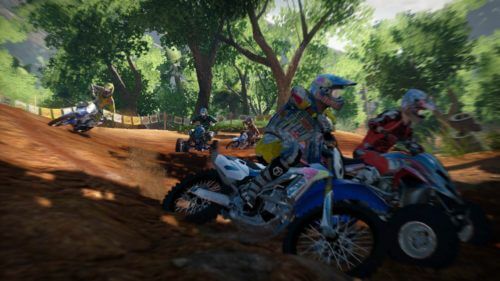 The MX vs ATV off-road racing franchise was created by Rainbow Studios, the original off-road racing team and pioneers in rider-bike physics. 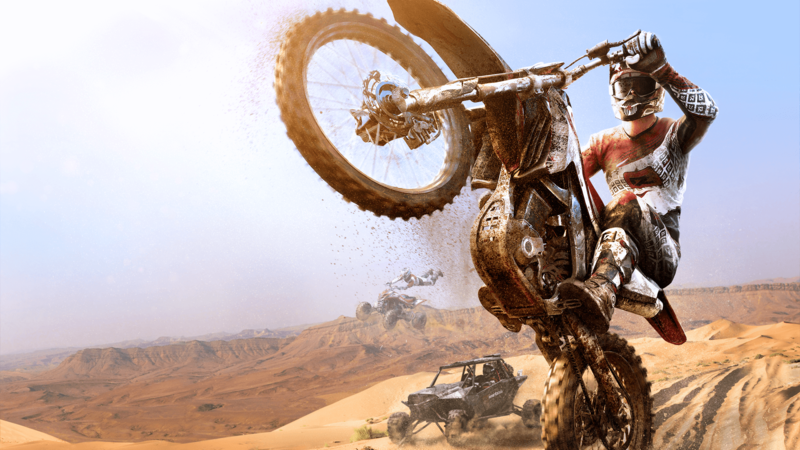 Here’s a quick look back at the biggest and longest running off-road racing franchise in video game history. 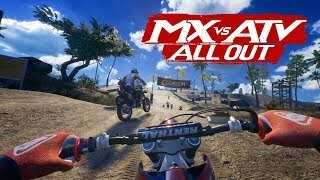 All Out 2018: The evolution of the franchise, re-built from the ground up to be the biggest racing and off-road lifestyle gaming experience to date. 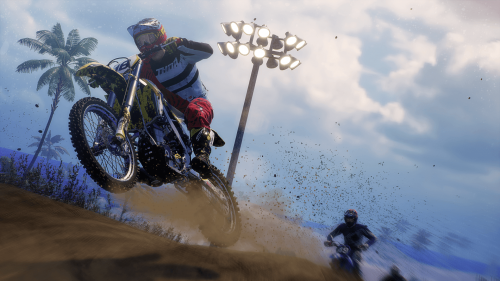 Supercross Encore 2015: Optimized for the latest console generation and featuring the brand new Rhythm Racing mode as well as bonus tracks from Alive. Supercross 2014: Focused on exciting Supercross racing in packed stadiums against official pro riders. 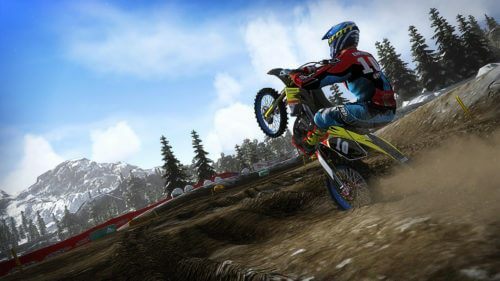 Alive 2011: Featured James Stewart guiding the player through the game plus all five OEM’s (Honda, Suzuki, KTM, Yamaha, Kawasaki) were available for the first time. 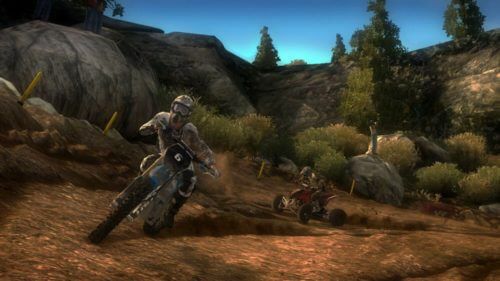 Reflex 2009: Featured real time terrain deformation and dual stick “Reflex” controls to adjust rider position. 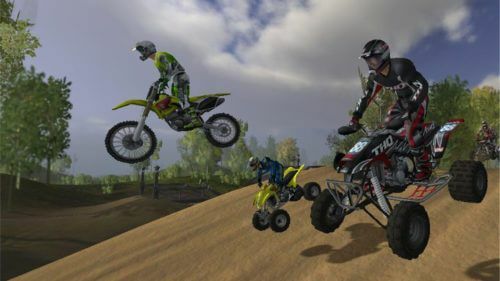 Untamed 2008: Features the innovative new “X-Cross Tournament” and throttle based powerslides. 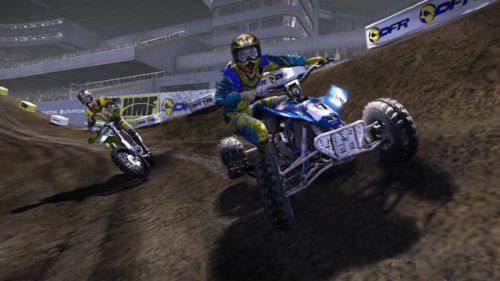 Unleashed 2005: First in the series to feature dirt bikes and ATVs in one game. © 2019 THQ Nordic GmbH, Austria. Developed by Rainbow Studios. THQ, THQ Nordic, Rainbow Studios and MX vs ATV are trademarks of THQ Nordic AB, Sweden. All rights reserved. All other trademarks, logos and copyrights are property of their respective owners.